The Place Located along the main stretch of the Kampong Glam food haven, Flying Monkey sits beside its sister restaurant, Pizza Fabbrica. While most of the restaurants here seek to cater to the crowd that frequent the vicinity, both restaurants stood out as being the odd pair here – not in a bad way, or course. Flying Monkey focuses itself in delivering pan-Indian food in a more casual setting, yet not compromising in quality as with their kitchen crew assembled from some of the top fine dining Indian restaurants in Singapore. Completing the casual vibe, Flying Monkey gets a full-fledged bar, manned by famous bartender, Kannan aka The Beard – previously with Buyan, Cufflink Club and Long Chim. The Food Pan-Indian cuisine to be enjoyed in both small and big plates, and coupled with a cocktail from the bar, that’s what Flying Monkey seeks to delight its diners with. For the small plates, we highly recommend the Tulsi Cod (S$15), which is basically cod fillet marinated with basil and charred in the tandoor. Fresh, well-seasoned and nicely grilled in the tandoor, our only rant would be its small portion. Another classic, the Calamari 65 (S$10) is battered calamari deep fried with curry leaves. No, the 65 does not mean it is done in 65 steps nor is it because it is a local Singapore dish (i.e. 1965 or the prefix +65), it is just a way of naming dishes which are deep fried and originated from Chennai. While slightly salty, we enjoyed the calamari for its slightly spicy and well-battered crispy texture. If you are looking for a vegetarian option here, the Papaya Kebabs (S$12) is worthy of a try. The fitters is made from mashed papaya, and served with plum chutney. Am personally not a fan of papaya, so while this may not be amongst my favourite dish for the night, I wouldn’t write this off just yet. 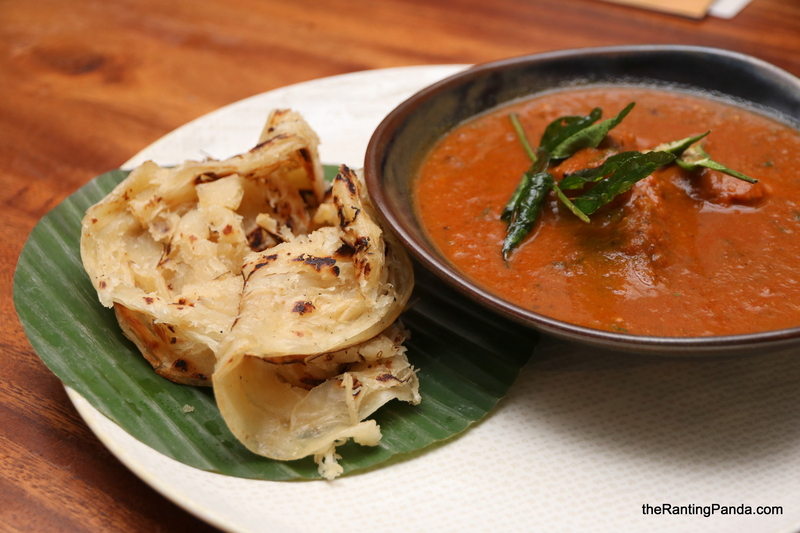 Jumping to the big plates, I strongly recommend the Nalli Gosht (S$26), which is Lamb Shank served along with Garlic Naan. The lamb shank is prepared overnight for 24 hours, and when served, the tender meats had nothing of the gamy taste we would typically associate with lamb meats. If you are looking for more exotic naans, order the Truffle Naan (S$14), which comes with Paneer Mousse and Pear Chutney – the paneer mousse being the real surprise here frankly. Another big plate to go for is the Meen Kulambu (S$24). A South Indian dish, therefore it comes with the stronger spices (tamarind curry), and sliced fish. If you prefer the local Singapore’s Prata to Naan, Malabar Paratha (the India’s version of Prata) is served along here. This dish reminds me of the local Singapore fish curry, but more refined and robust in its flavour. To end off the meal, you can go for the Jalebi (S$10) here. For someone not familiar with this dessert, just be warned that it is extremely sweet, with a crispy exterior layer and soft texture within. Not amongst my favourite, but if you like sweet endings, this might just work for your palate. Alternatively, go for the Kulfi (S$10), Flying Monkey’s homemade saffron and pistachio ice cream. This is unlike the usual gelato texture that we are more familiar with, as Indian Kulfi is slightly more dense and less creamy. To go with the meals here, you can go for the interesting cocktail selections as well. We recommend the Goa Mamma Lassi (S$18) for a refreshing cocktail, or the visually-pleasing Monkey on Fire (S$20). Rants We find the prices here slightly steep, although we must admit the presentation of the food and concept is more modern and refined Indian cuisine. Will I Return Again? For the occasional cravings for Indian food, and if you are looking for a more relaxing and casual restaurant to chill out, Flying Monkey is worth checking out. Make your reservation instantly at Flying Monkey here.